Blood is the most accurate indication of alcohol levels in a person’s body. 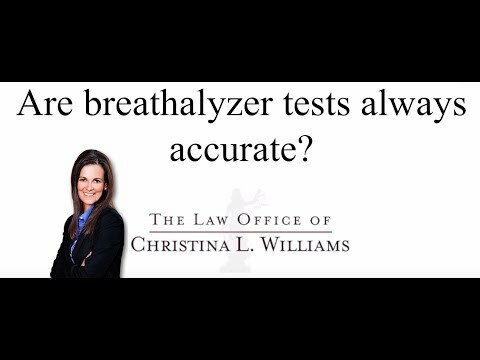 The breathalyzer is a calibrated machine that is generally relied upon and found to be accurate in Wyoming by Wyoming courts. If you take a portable breath test out in the field, that is if you are being investigated for a DUI, and the officer asks you while you are out on the road, doing the roadside tests to take a portable breath test, that reading is not allowed to be used as evidence. It’s merely allowed to establish whether or not alcohol is present or not present on your breath. Again blood is the most accurate means of determining a person’s blood alcohol concentration. The blood result will generally be a little higher, a little greater than the breathalyzer result.